#26in26 – 26 songs from the last 26 years, chosen by you. So today’s blog post is coming to you on a very special day…because it’s my birthday! Yes, I have officially been on this planet 26 years as of today. Crazy thought isn’t it? So, in light of this, I thought well, I need to give a bit of a gift to you, the readers of this blog, and today you’re getting that gift to celebrate this wonderful, amazing day when I was born. And to the person that I can hear saying ‘he’s a bit egotistical int he?’ – firstly, RUDE, and secondly, this is the one day of the year that I get to celebrate being wonderful, pretty, functional me so NYER to you. 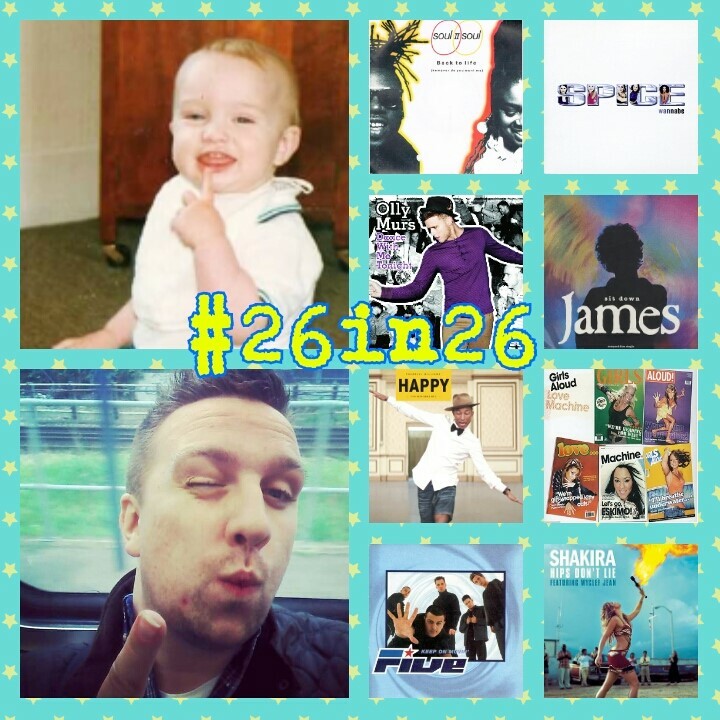 If you’ve been following my Twitter or my Facebook for the last few weeks, you’ll know that I’ve been doing a thing called #26in26 – basically, each day in August in the run up to my birthday, I’ve asked my followers (which hopefully some of you are) or friends to choose a song that was a hit from a given year in the last 26 years. Why? Well the reason why is now apparent because I have compiled all your choices into one totally rad Spotify playlist for you to enjoy today. 1992: Charles & Eddie – Would I Lie to You? A big thank you so much to everyone who voted each day on the choices throughout the month. It’s been really good fun and I hope you’ve enjoyed it as much as I have and that you turn this playlist up loud and have a good boogie. I’m off to spend the day with the fam eating cake and unwrapping presents and generally lovely things of that nature. First of all of course HAPPY BITTHDAY! I hope you’ll enjoy your day. I liked your #26in26 votings and posts over the last weeks. And the playlist that came out of it is great. And you inspired me to do a birthday/charts inspired post on my blog as well on my next birthday (which is too far away, because I’m already excited…). Anyway, thanks for the idea and a great blog post / campaign. It was fun!